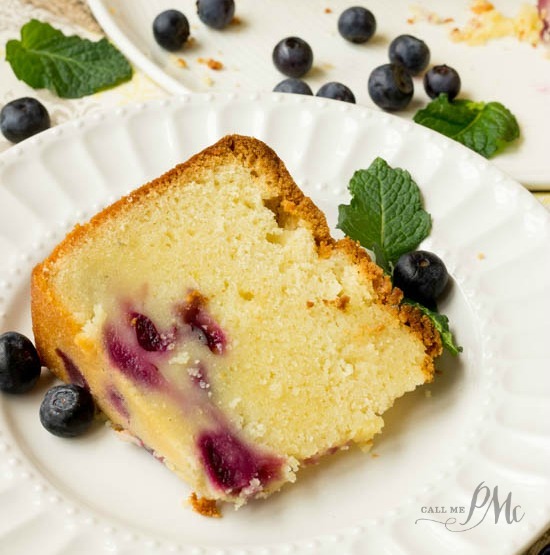 Fresh Blueberry Pound Cake Recipe, luscious and creamy, this pound cake recipe is chock full of fresh blueberries. 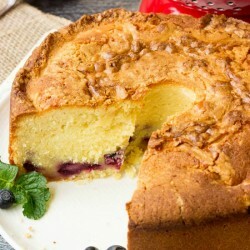 Spiking the homemade cake with fresh lemon zest and lemon juice brightens the flavor, making it a definite keeper! It’s summer. I can tell because all I do is cart my kids to and from the pool and clean up after them running in and out of the house all day! But, seriously, even though it’s true, I wouldn’t change anything. I do miss getting to actually concentrate on my site, but it’ll be over all too soon and I’ll miss the commotion. Bear with me the next 2 months, okay? I had such an ordeal making Blueberry Mango Cobbler and spent so much money on blueberries. One pint was almost $5 and I ended up going to the store three different times until I perfected the recipe. Two days later I was talking to my Mom about it and she said, “You’re not buying the blueberries are you?” I wanted to say “they’re not falling from the sky.” But refrained since she’s my mom and all. She went on to say, “My blueberries are loaded down. I’ll bring you some.” The next day she showed up with more than three gallons! I had to find something to make with them. 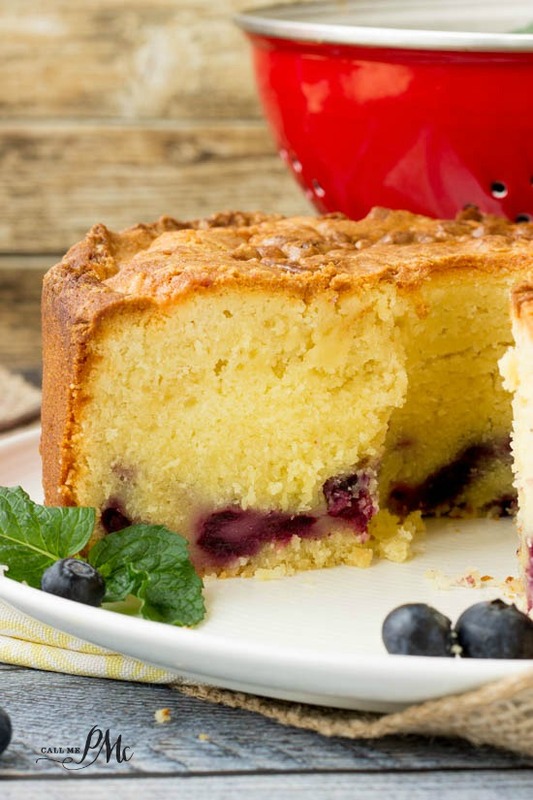 First up, this Fresh Blueberry Pound Cake Recipe. This cake has more flour and more butter than the other pound cake recipes I’ve tried for you. This made it really moist and creamy. It took 100 minutes to bake. (That’s 1 hour and 40 minutes.) This is no quick dessert recipe to make. It is well worth the two hours of your life though. Your oven may vary slightly in temperature (especially if it’s not calibrated), cook it until it done. Check doneness by carefully inserting a wooden pick (like a skewer) into the center of the cake. It is done with no crumbs or dry crumbs come of clinging to the pick. Even though I used all the tactics of baking so the blueberries would not sink to the bottom, they still sank. 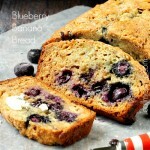 I dusted the blueberries in 2 tablespoon flour before adding them to the batter. I also placed half the batter without blueberries in it in the bottom of the tube pan. 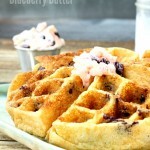 I then mixed the blueberries in the remaining half of batter and carefully spooned that batter over the other batter. Maybe I had heavy blueberries. They all sank, but the cake was still phenomenal. 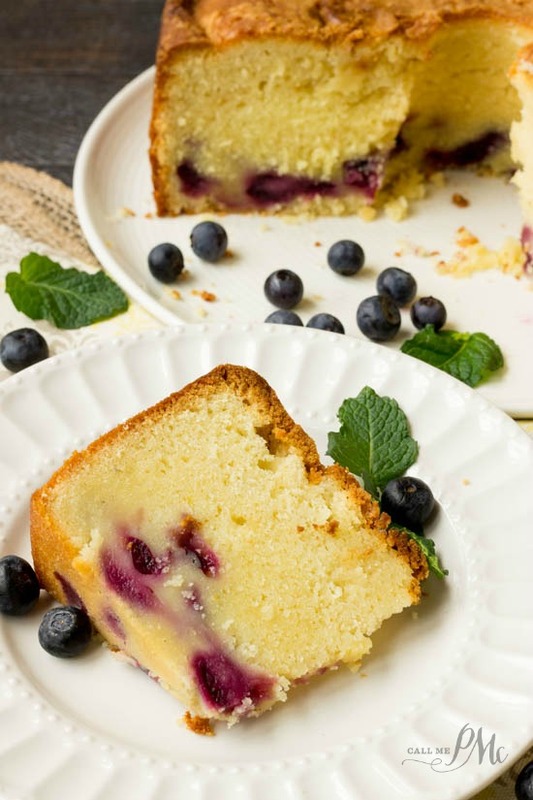 Homemade Fresh Blueberry Pound Cake Recipe is full of sweet blueberries and lemon. It's luscious and moist. 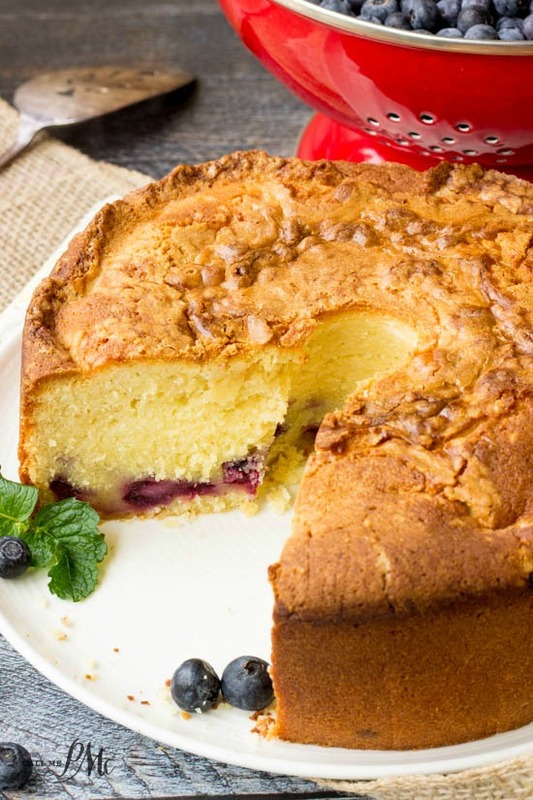 Great for pot-lucks, this cake recipe is always a crowd-pleaser. 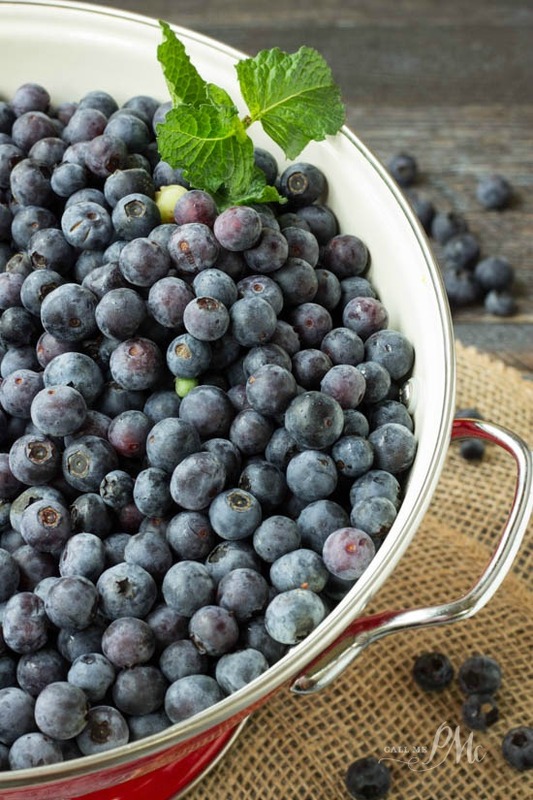 Add 2 tablespoons flour to blueberries to coat. Bake at 350 degrees for 90 minutes, test with a long, thin skewer. Cook another 5 to 10 minutes or more until cake is cooked. When tested with a long skewer no crumbs or dry crumbs will cling to skewer. Cool on wire rack 30 minutes before inverting onto a serving tray. 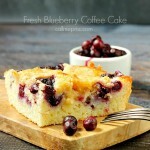 Do you like blueberry desserts? 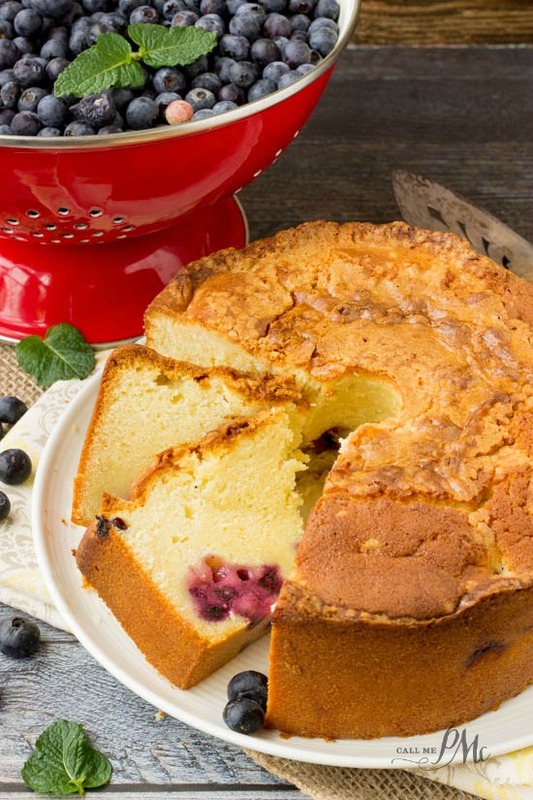 Have you made a Fresh Blueberry Pound Cake Recipe? I know, who knew there were so many variations 🙂 This one I really enjoyed.